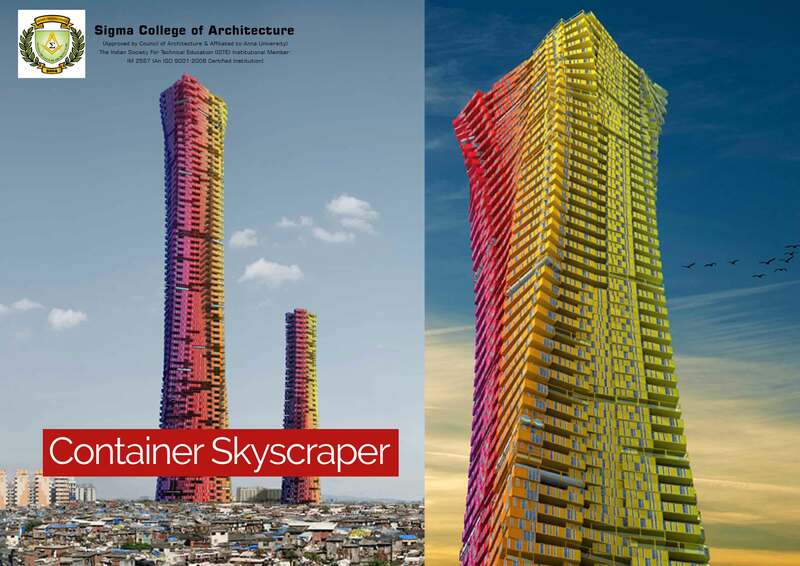 CRG Architects have proposed a design comprising of twin Container Skyscraper to replace the slum housing in developing countries. The skyscrapers would be comprised of brightly coloured shipping containers stacked to create high-density, cost-effective housing in urban areas. The current scheme would require approximately 2,500 containers which would be capable of housing up to 5,000 people. The containers can be so arranged that a single unit could be subdivided to provide a studio flat and three of them could be joined to provide a three-bedroom family residence. The towers feature a red, yellow, green and blue colour scheme. The blocks of colours are intended to represent the hottest and coldest parts of the building. These structures would be supported by a concrete structure and arranged with their edges overlapping to create two cylindrical towers.